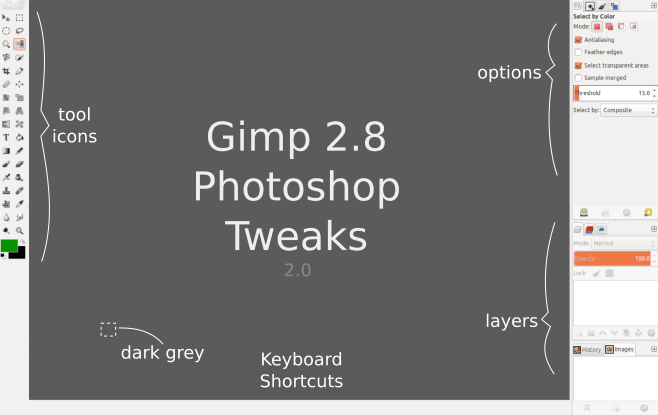 To help those who are used to Photoshop, +Martin Owens has created a collection of GIMP 2.8 tweaks that make it more like Adobe Photoshop. The tweaks include Photoshop like toolbox icons, keyboard shortcuts, modified dockable dialogs and even a tweaked background color to match Photoshop. However, I've added installation instructions for both GIMP 2.8 and GIMP 2.9 so you can try this even if you're using the latest GIMP development build, but keep in mind the notes above. 1. Download the GIMP Photosop Tweaks zip file from DeviantArt (there's a download link on the right) and place it in your home folder. - for GIMP 2.9+: copy the downloaded .zip file to ~/.config/GIMP/ (".config" is a hidden folder in your home directory so press CTRL + H to see it), then extract it and a folder called ".gimp-2.8" will be created (again, this is a hidden folder so if you can't see it, press CTRL + H) - then simply rename this folder to "2.9". You should now have a new GIMP 2.9 configuration folder: ~/.config/GIMP/2.9 . Update: this installation script does not support GIMP 2.10. 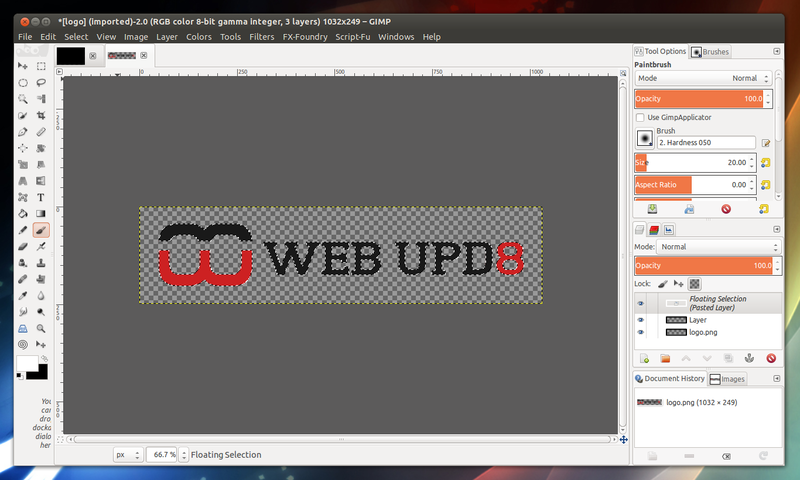 What's more, the GIMP Photoshop icon theme doesn't work with the new GIMP 2.10. If all you're interested are the Photoshop keyboard shortcuts for GIMP though, HERE you'll find instructions for installing them on Windows, Mac and Linux - this works with GIMP 2.10.